Over the weekend of 3-5 August 2018, I presented some workshops at the Magnesia Festival in Helsinki. One of them was entitled “The Tao of Dating: The Modern Woman’s Guide to Loving and Being Loved.” Some things have changed to modern romance since I first published The Tao of Dating book (ebook and print). I’ve also learned a lot from the 5000+ letters readers like you have sent me, so think of this talk as an update and supplement to the book that incorporates the new stuff. How to get better at selecting men: Avoiding psychopaths and sociopaths. The heart-spine selection criteria. Avoiding Bad Boys in favor of selecting Good Guys. How to present the best possible version of you. How to find him at his best: the importance of venue and context. Set up dating so you win. How to avoid unforced errors: on communication habits, giving love a chance, overdependence on devices, and the cure for negative self-talk. If you are a fan of yoga, meditation and dance and can free your schedule for the first week of August, I highly recommend the Magnesia Festival. It’s set on a beautiful island in Helsinki harbor, with healthy food, fun classes, and serious sauna. Many thanks to Mari Rasimus, Kaisa Kärkkäinen, Asaf Peled and Oded Peled for inviting me and taking such good care of the speakers! Thanks to all of you who made it to the “Tao of Dating 2018” workshop last week in Santa Monica! When you spend months on end like me staring at a computer screen, it’s a real treat to see some of you face-to-face and answer your questions in real time. 3) How to present the best possible version of you, and how online dating apps can hinder that. 5) Benefits of prolonging the courtship: patience pays! 6) How stop inadvertently shooting yourself in the foot in the dating arena. • Minimize negative self-talk: Do you ever find yourself saying things to yourself like, “Omigod you’re such an idiot!” Or “You screwed that one up again because you don’t really deserve to be happy anyway.” Or worse? Everyone has a little negative soundtrack running in their heads, and scientists have noticed that it’s particularly prevalent amongst women. Nobody knows exactly why, but I’m pretty sure that all the advertising imagery emphasizing women’s inadequacy is probably not helping. You went out with a guy for a couple of dates. He’s a nice fellow, but you’re not feeling the spark. You want to inform him that he’s no longer a romantic prospect, but you’d like to do it gracefully. How do you let a guy down easy? Or anyone, for that matter? This topic came up a couple of times in the last week alone (one of them at my live talk), so apparently it’s on people’s minds. What I recommend is to use two principles: the praise sandwich and the idea of fit. Express your intention clearly and positively. Emphasize what you want (“I’d like to keep you in my life and stay friends”) as opposed to what you don’t want (“You are so not a romantic prospect”). Of course, you’ll want to tailor this to the situation at hand. The whole idea that he’s a great catch but not a good match (thanks to M. for this rhyming formulation) is what I mean by fit. It’s not that he’s a bad kisser, or has poor hygiene, or socially awkward, or just not your type: you guys just aren’t a good fit for one another. This makes it less personal, so even if the unsavory things about him are true, he can hold his head up high and legitimately count you as a friend. The praise sandwich works particularly well because people tend to remember the first and last things you tell them (the primacy and recency effects, respectively); the meat of the sandwich tends to get forgotten. In the end, it’s important to remember that regardless of how large a population center we inhabit, we’re still members of communities. So you want to treat people as if they’re a friend of a friend — someone you’re liable to bump into in the near future. As I explain in the audio from the Q&A session last week, nastiness tends to redound on itself. Gentle let-downs help expand your circle of allies and reduce the amount of incidental rancor in your community and the world at large. What do you do when most of the guys you meet are younger than you? How about an emotionally unavailable guy? How do you make him open up? Why is it that you always read about women having to change, but not men? And what’s a good way to let a guy down easy? Click on the player icon below to listen, or click here if you prefer to download the file (29min, 20mb). To get the full Understanding Men 1 lecture preceding the Q&A for a name-it-yourself price, click here. Tomorrow Tue 13 December at 6pm PT/9pm ET, even though I object to the word “webinar”, I’ll be holding the free webinar “How to Meet Good Men Over the Holidays”, just ’cause I like you guys so much. Also, over the 15 years I’ve been teaching this stuff, one thing I’ve learned: most women could be better at meeting men. A lot better. “Nice girls don’t do that”, “It’s the guy’s job”, “What do I even say?” — it’s time to jettison those excuses and expand your repertoire of skills beyond just standing there and looking pretty. We’ve already got 200 signups, so register here so you get the reminders, esp since I’ll be doing live Q&A at the end. My colleague Orchid Tao has put on this series of video lectures with a whole bunch of speakers (50 of them!) that’s happening Dec 19-Jan 16. Some of the speakers are really, really good. And I’ll be talking for 45min on how to set yourself up for love that lasts. It starts next week; more info for you in the near future. In the meantime, you can sign up for the whole thing for no charge here. The response to the first Understanding Men event was enthusiastic, with everyone and their grandma saying they wanted to show up but just couldn’t. Well, I’m doing it again, so call up grandma, like, right away, so she can book her flight from Florida. This time I’ll be talking about some deep insider secrets about men’s sexuality, as well as some subtle and unsubtle forms of female self-sabotage (e.g. fixation on tall men and insisting on wearing high heels at the same time). That’s all for now, since I have to hit the road in a minute to see the extraordinary Jack Kornfield speak at Spirit Rock. 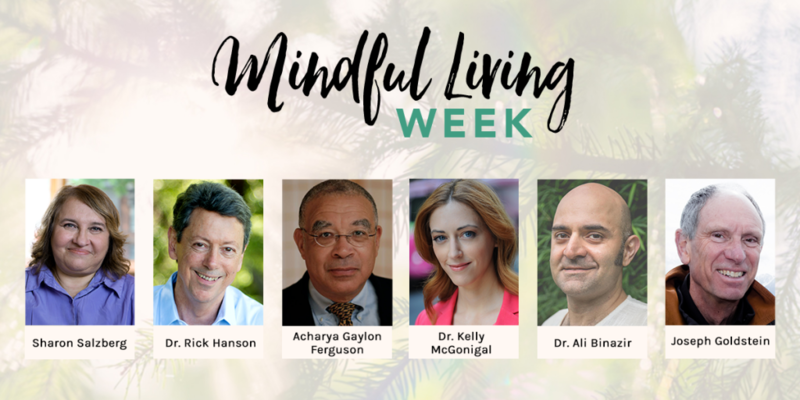 Next time, I’ll talk about how to rewire your brain for greater happiness. A lot of people were sad to have missed it because of time (or distance) conflict, and asked for a replay. So I’ve edited the talk to 57min and made it available for download. People who attended live paid $15-20, so I’ve decided to let you name a fair price for the download — somewhere between two 3-minute songs from your favorite Justin Bieber album, or the full album. NOTE: Downloads don’t work well from mobile devices, so please make the purchase from a computer. Click here to purchase the full lecture. In the meantime, on Tue 13 December, a week from today, even though I object to the word “webinar”, I’ll be holding the free webinar “How to Meet Good Men Over the Holidays”, just ’cause I like you guys so much. Also, over the 15 years I’ve been teaching this stuff, one thing I’ve learned: most women could be better at meeting men. A lot better. “Nice girls don’t do that”, “It’s the guy’s job”, “What do I even say?” — it’s time to jettison those excuses and expand your repertoire of skills beyond just standing there and looking pretty. We’ve already got 200 signups, so register here so you get the reminders, esp since I’ll be doing live Q&A at the end. And do send your questions. Under 250 words, and make sure it contains a question regarding the outcome you desire! You know this is a man grounded in reality because he is quick to refute that label not out of modesty but from the simple fact that all of his fellow monks would do (and have done) equally well on measurements of their brain activity that could result in such a label. My inclination is to think that if you’ve put in the 50,000 hours of meditation that Ricard has, your brain is bound to manifest some unusual phenomena. Happiness is not the constant seeking of pleasurable experiences. That can turn out to be quite exhausting. One definition of happiness: not excluding anyone from your heart. If you find meditation boring, it’s not the fault of the meditation. The word “meditation” itself has little meaning. It’s a bit like saying “training” — what kind of training? Weightlifting? Running? Tennis? 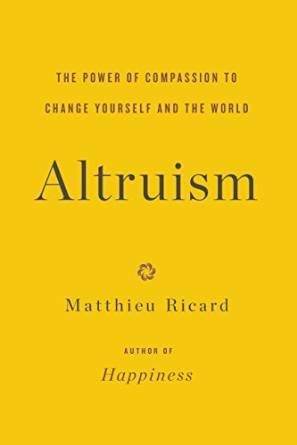 In the same way that you can’t expect to play the harpsichord expertly without practice, you can’t expect to be an expert at compassion, altruism, mindfulness, gratitude without practice either. Mindfulness by itself is not enough. You could have a mindful sniper or psychopath. You must add the caring component to it. At the request of the moderator, Ricard led us through a 4-part compassion meditation. First, you project loving-kindness to several people in sequence, from easy-to-love to very difficult. Then, you wish for a reduction of their suffering. This is the compassion component. Rejoice in the existence of all the other people also wishing for the reduction of suffering and taking an active part in it. Make impartial your projection of compassion and loving-kindness to all sentient beings, without preference or special allocation. I have adapted that into this 12min audio, which you can listen to here. The clinical effects of loving-kindness meditation on positive affect and psychological health are well-documented. Besides, it feels good. If you do not have a meditation practice yet, you may wish to consider trying this for starters. You may download the audio here. 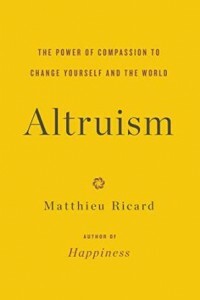 Ricard is currently touring the US to promote Altruism. He will make two stops in New York City next week — check his event calendar here. I urge you to go see him if you have the opportunity. Dr Ali, I have been dating a man for the past 9 years on and off. He is 44 years old, divorced and still lives with his mother. He hangs out with his loser friends to smoke weed and drink alcohol. He hardly spends time with me when I confront him about the lack of time. All he tells me is that I complain about it too much and that I need to respect him and give him loyalty. His comments make me resent him, so on and off, I block him from my phone. What I heard from an ex is that the times we are not together he was sleeping around and dating other women. In our last break up, he started dating another woman a week after breaking up with me. A month later, he proposed to her and moved in with that woman. He never did anything like that with me. What bothers me is that he is trying to get back with me while he is still engaged to the other chick. I still love him but I feel disgusted and used. How do I let go of a loser who gave me crumbs of time? LADIES — We had Session 1 of Project Irresistible last night, and it was full of powerful information to kickstart your love life and more. There were two stories, 3 readings from Eastern wisdom, 4 mind-expanding exercises and one killer guided meditation to get you in the mood for transformation and reaching your highest, best self. Pretty unbelievable stuff. And apparently true. Or, newfangled technology! If you’re on a phone or mobile device or away from your computer somehow, you can dial in and listen to the class. That’s right! Call +1 218 844 3182 and use access code 89633016, and it’ll be just like you’re on the live call. The price for the class goes up to $297 from $247 tonight at midnight. You can enroll for the class through Sunday, November 10. After that, the class is only available to registered students. Look forward to catching up with many of you in the class! Gentlemen – Have you had any of the following thoughts or experiences?